WASHINGTON, DC, May 13, 2011 (ENS) – Congressional lawmakers were warned today that U.S. nuclear power plants are by no means safe and that government agency and nuclear industry representatives have not been telling the whole story. David Lochbaum, a nuclear engineer who serves as director of the Nuclear Safety Project with the Union of Concerned Scientists, has the credentials to know whereof he speaks. From March 2009 until March 2010, Lochbaum worked for the Nuclear Regulatory Commission as a Boiling Water Reactor technology instructor at their Technical Training Center. His duties included teaching the severe accident management guidelines to NRC employees for their initial qualifications and requalifications. Lochbaum was asked to testify before a joint session of the Energy and Environment and Investigations and Oversight Subcommittees of the House of Representatives Committee on Science, Space, and Technology. The hearing was held in view of the ongoing nuclear crisis at the Fukushima Daiichi power plant on Japan’s Pacific coast after the March 11 earthquake and tsunami destabilized the facility. Today Tokyo Electric Power Co. officials confirmed that a nuclear fuel meltdown has occurred at one of the plant’s six boiling water reactors, and the entire reactor building will be sealed in a covering to prevent further releases of highly radioactive substances. “Outside air temperatures exceeding 90 degrees caused the backup power supply to overheat and fail, just as the tsunami had done at Fukushima Daiichi. 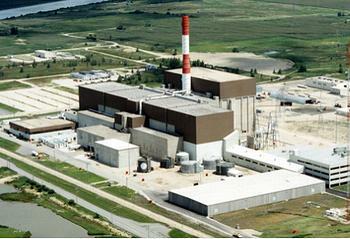 The difference was that workers restored the normal power supply for Davis-Besse an hour before the backup power supply failed, while more extensive damage prevented workers at Fukushima Daiichi from restoring its normal power supply for nearly a week, days too late to prevent fuel damage,” Lochbaum said. 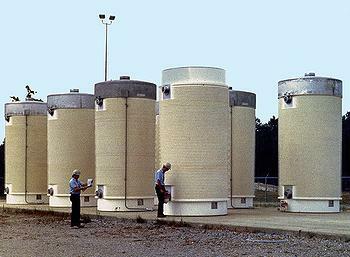 Lochbaum pointed to a page in the NRC Manual covering the agency’s reactor oversight process. “The NRC never checks – repeat, never checks – the guidelines to see if they would be effective under severe accident conditions,” Lochbaum emphasized. Lochbaum also recommended that U.S. nuclear power plants store their spent fuel in dry casks rather than in spent fuel pools, as many do now. 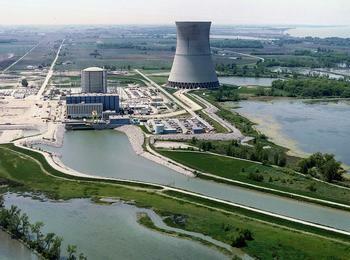 “The spent fuel pools at nuclear plants in the United States are significantly fuller than those in Japan. As a result, the chances of a spent fuel accident are higher and the consequences would be greater,” he warned. Republican members of the subcommittees spent their time berating the U.S. Department of Energy for not providing a witness. Testifying today, Dr. Brian Sheron, director of the Office of Nuclear Regulatory Research at the Nuclear Regulatory Commission, said that efforts are being made to address new concerns. “Our program of continuous improvement based on operating experience will include evaluation of the significant events in Japan and what we can learn from them,” Sheron said. “The NRC already has an extensive seismic research program and new information coming out of Japan will be utilized to reassess seismic hazards at existing U.S. plant locations,” he said. When asked about the safety of existing U.S. nuclear plants, Sheron said there is no evidence that existing plants are not safe. “Station blackouts constitute 80.6 percent of the overall core damage risk at the LaSalle nuclear plant in Illinois,” he said pointing to a chart of station blackout risk prepared by nuclear power plant owners themselves.